Hey, here is link to some pretty neat tutorials, put together by Cameron Fielding. They are worth a look and thanks to Cameron for taking the time to put them together. Hey guys I found this interview with the amazing Jeff Pidgeon on-line today. Everyone should check it out. Jeff has been at PIXAR forever and he is in my opinion one of the most influential artists of PIXAR’s earlier films, Toy Story,Toy Story 2, Monsters Inc, etc. Worth a listen. 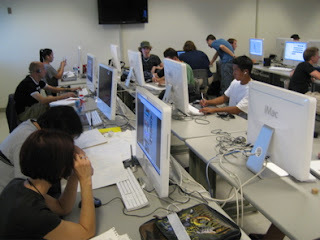 In terms of animation education, one of the best programs I have seen is CSU Summer Arts. When I got out of high school, I really wanted to learn stuff about animation. I think it was something I saw in an issue of Amiga World Magazine (I’m dating myself) that prompted me to check into a computer animation program that was being run by this organization. 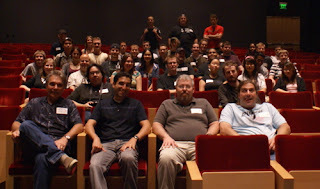 Back then, all the stars of computer animation gathered at Humboldt State University. We did films using swivel 3d. It was great! It was the first time I really knew that I wanted to make films. The CSU summer arts program has been running for 21 years now.. Lately, its been at Fresno State. This Year I had the privilege of being a guest artist for the 5th time. Rick Vertolli has been the guiding light of the computer graphics program at CSU summer arts. The range of Guest Artists is really amazing. We had Mike Wellins, who is an independent film maker and director. He works up at Leica. Rusty Mills, who has been a Producer/Director for many projects including Pinky and the Brain and animaniacs. Brian Boyd, a TD from Pixar was their to talk about all aspects of color, lighting and also rigging. 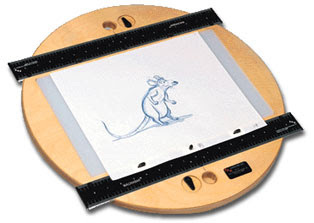 Chuck Harvey, who trained under Milt Kahl was also one of the guest artists. Chuck, having worked with the greats, had so much inspiring artwork to show. His collection of animation art blew everyone away. The subject of this years workshop was character development. 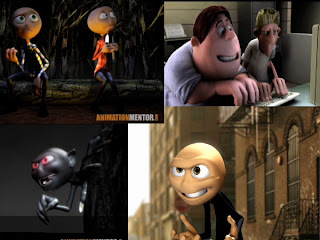 The students got to take acting classes from a teacher from Second City and then develop that character using a CG rig. Things like Walk cycles, Pose Tests and Acting scenes are some of the work being done. The students were also lucky enough to get a tour of Pixar, which usually is impossible to do for a group this size.